pH Meter of optimum quality is available from us. 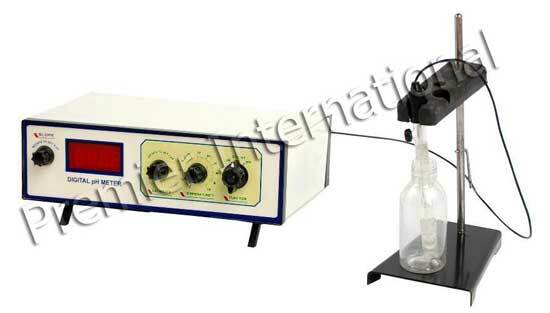 The pH Meter is used for measuring pH value of the pulp solution or other similar material. The pH Meter is fabricated using the high-grade components & parts and technically advanced machinery. The pH Meter is accessible at the most competitive prices in the market.